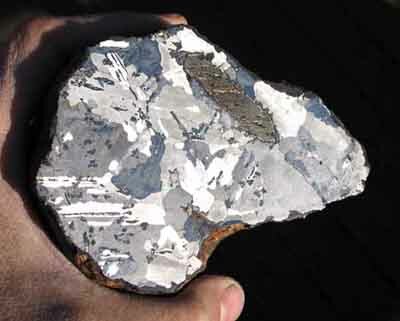 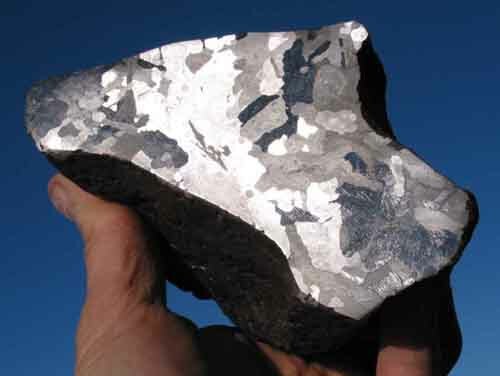 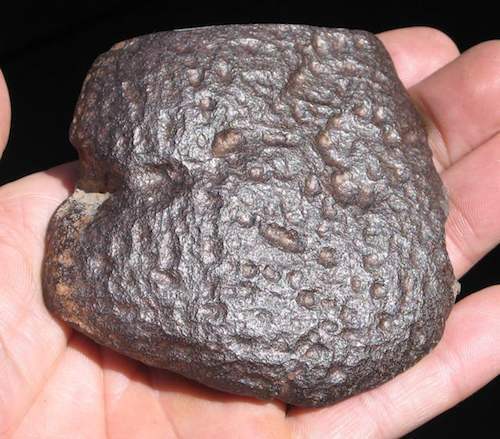 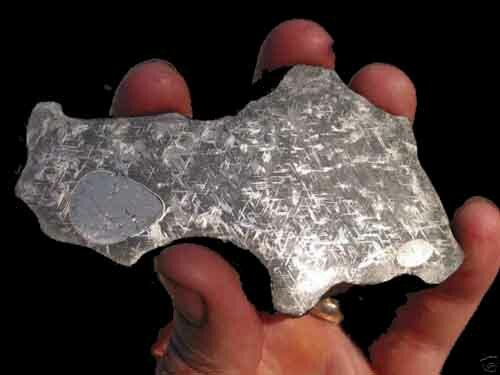 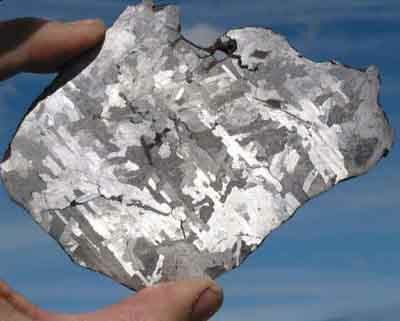 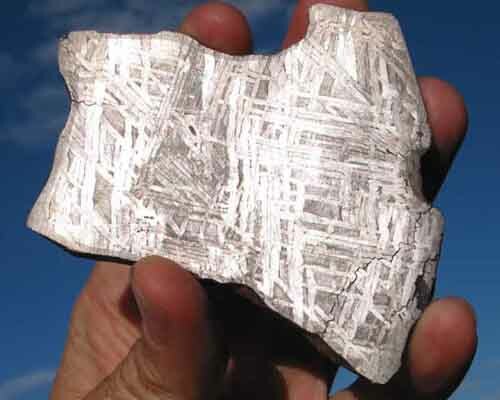 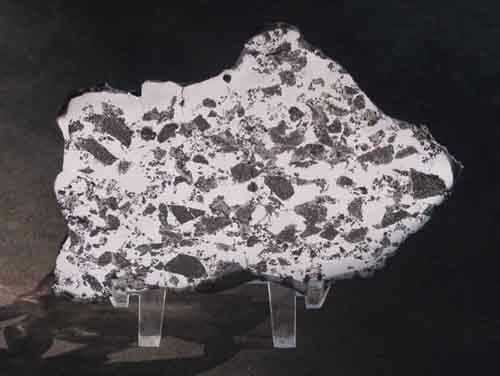 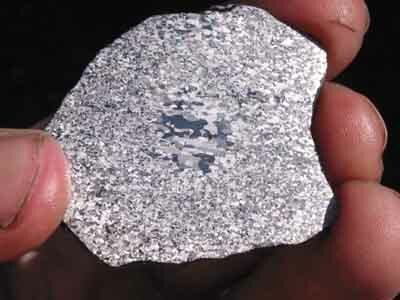 Iron meteorites are composed primarily of various alloys of iron and nickel (primarily kamacite and taenite), and are derived from planetary cores that were broken apart billions of years ago by catastrophic impact events. 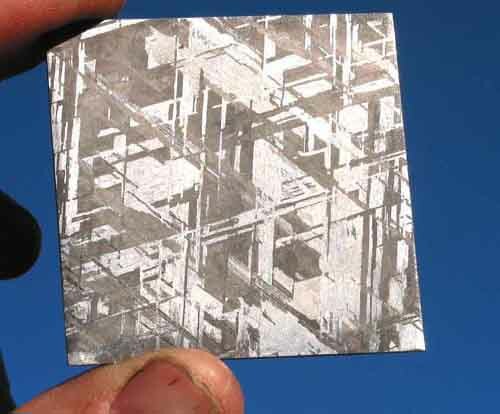 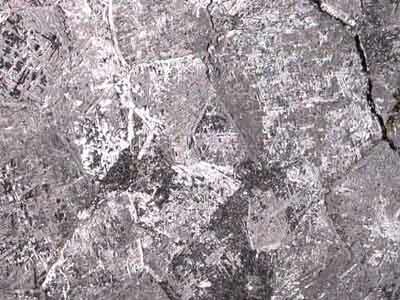 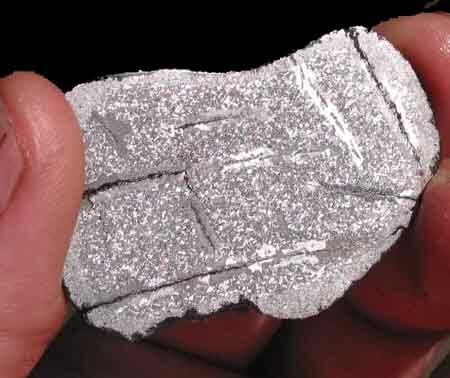 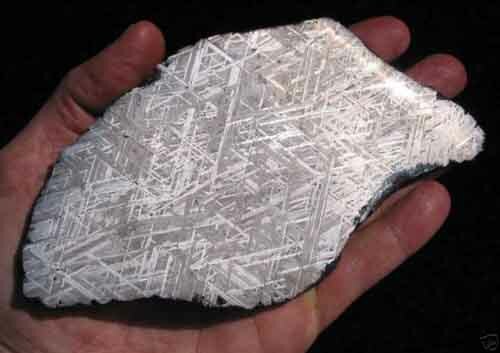 The crystalline patterns within Meteorites are known as "Widmanstätten" patterns after the Austrian Count Alois von Widmanstätten who first discovered these patterns in 1808. 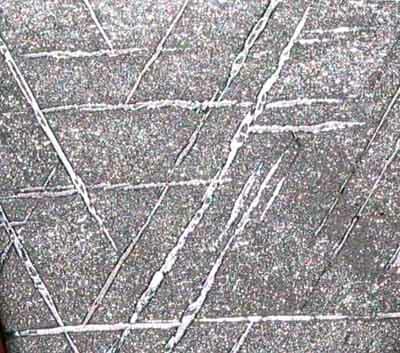 These patterns are formed of interwoven bands of kamacite and taenite, and can only form over literally millions of years of cooling. 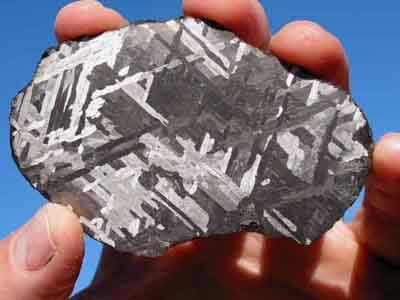 It has been estimated that it took about 1000 years for these molten pieces of planetary core to cool by just 1 degree celsius! 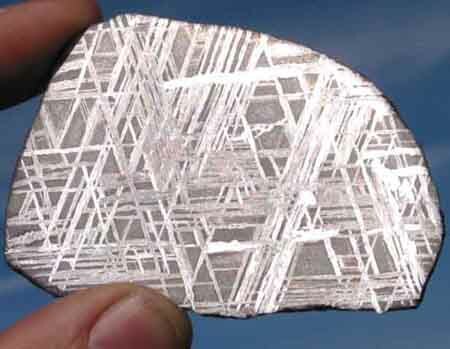 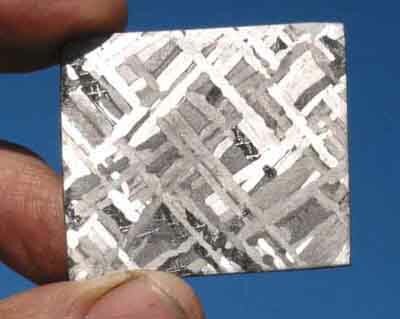 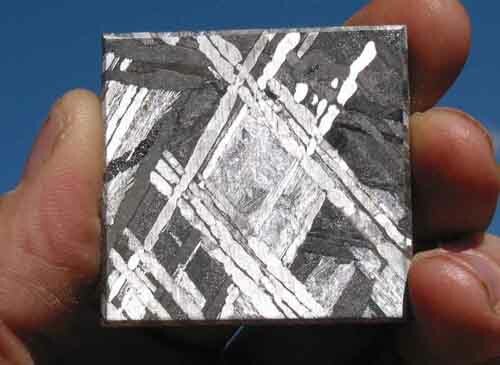 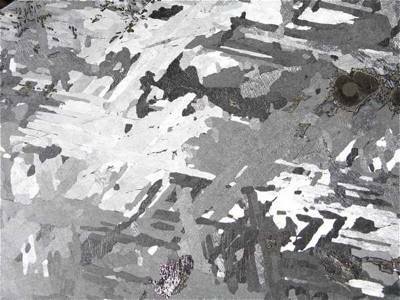 The beautiful crystalline patterns characteristic of iron meteorites are more than just beautiful oddities-they tell us how long it took for the planetary core from which the meteorite is derived to cool! 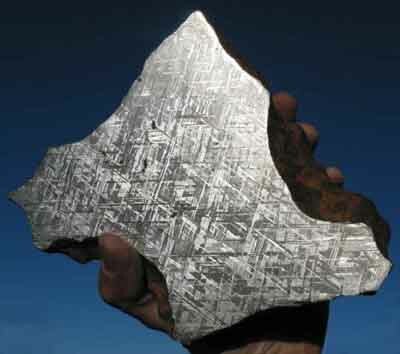 Below you will find links to some of our beautifully etched meteorites.